War is a lot like love. It is easy to start, difficult to end, and impossible to forget. No conflict in human history has ever been truer to these words than the Cold War. Decades of mutual hatred between the East and the West brought our entire planet to the brink of destruction. It was an era of fear, anger, and paranoia. And out of those dark emotions came a massive military build-up that spanned across the globe. Today, it is a different world. All of these fears and doubts have faded away, but the ghosts of the Cold War conflict have not. They are hidden, amongst the darkest corners of our forests and our memories. Ruins of old military bases are now nothing more than graveyards. But on the far reaches of Cape Cod, there is one that stands out from all others. In the dark days following World War II, the United States military began to prepare to adjust to the changing international atmosphere. Across the country, missile defense bases began to emerge. In 1951, the North Truro Air Force Station was born. Situated on the far end of Cape Cod, Massachusetts, the base had many different jobs during the Cold War conflict. With ever changing and advancing technology, the station was largely used as a radar and air defense base. It housed hundreds of American military personnel over the years, and was complete with on-site housing and recreational facilities. But when the Cold War came to a sudden end in 1991, the future of the station became cloudy. In the turmoil that followed, the North Truro Air Force Station was closed in 1994 and the land was sold off. Over the years, we had heard many rumors and stories about the North Truro Air Force Station. Many debated whether or not the place was worth a visit, and even more argued about what was actually left to see. Finally, in the early summer of 2016, we were finally able to stop by the curious facility. The sun was shining. The beaches were busy. And the true magic of Cape Cod was just beginning to wake up. The Air Force Station lies off a quiet road on the far side of North Truro. It is actually only a short drive from the fabled Bates Motel, which is more than worth a visit. The base is technically part of a national park, and is legal to visit. Certain areas are still used for community functions though, and are off limits. It doesn’t look like much, but hidden amongst the heavy underbrush and beach foliage is a ghost town, as old and as spooky as the Cold War itself. Upon arrival, the first thing to greet you is what appears to be a large open field. But in actuality, this is the overgrown baseball field from the station’s heyday. The old dugouts and diamond can still be seen if you look hard enough. It is a short walk down the old road, though, where things start to get interesting. Here lies the ghost town. Lining a short stretch of road are what remains of the on-site housing for the military personnel. Each one has simply been left to rot. The doors aren’t even boarded up. Inside, kitchen supplies, mementos, and relics of the past have been simply left behind. The houses at the front of the street were for enlisted men. Down the road were the officer’s houses, which were larger and included garage bays. Many tools and pieces of scrap metal could still be found in a few garages. But beware, asbestos warnings and broken glass are everywhere. Watch your step. Hidden farther off in the woods is the old helipad. There is not much to see here, save for a few concrete foundations and filled in tunnels. A slight breeze from the nearby ocean blows through the tall sea-grass. Sea birds and gulls caw overheard, singing a soft eulogy for this forgotten place. We only ran into two other people, an old couple walking their dog who were more than happy to tell us what they knew about the site. If you truly wish to see urban decay at its finest, without running the risk of being arrested, then this place is a must see. It truly is a ghost town, as if everyone just got up and left someday. Never to return. Of all the former military bases we have explored, North Truro Air Force Station was the most intact and most interesting. It is in a class all its own. But to us, this place, much like the Cold War, will be impossible to forget. The waves of the ocean crash up against the sandy shore. Fierce gusts of wind shriek through the tall sea grass. Packs of white gulls soar overhead, cackling and cawing to each other. The sun shines powerful and radiant in the sky. The deep Atlantic water is an enchanting shade of bright blue. This is Napatree Point, Rhode Island. And somewhere, lost in the vegetation of this place, lays an abandoned military fortress. The ramparts crumble as they slowly succumb to the barrage of time. Dark and empty corridors are haunted by the ghosts of the past. What once served as the first defense of the American homeland now lies in total silence. This is Fort Mansfield, forgotten by some and a legend to others. 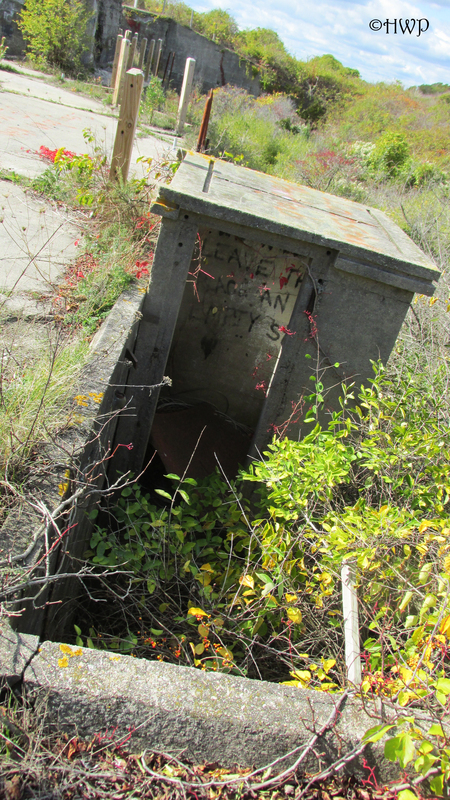 Unlike one of the other famous abandoned military forts in Rhode Island, Fort Wetherill (see our write-up here), this former coastal artillery instillation has been all but lost to the white sands of Napatree Point. Located in the village of Watch Hill, Fort Mansfield was one of our most difficult treks, but also one of our most rewarding discoveries. 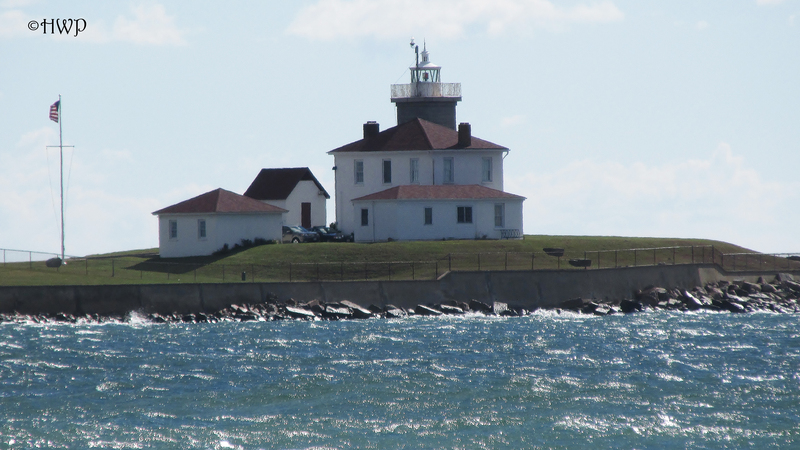 Fort Mansfield has called Napatree Point home since its creation in the early twentieth century. The point is a small piece of land branching out from the town of Watch Hill. The United States military first purchased the property in 1898, as part of a new program to install artillery batteries all along the coast of New England. Though it may not have as rich of a history as Fort Wetherill, Mansfield does have a much sadder story than its legendary cousin. The fort was officially commissioned in 1902. However, during the war games of the early 1900’s, a fatal flaw was discovered in the fort’s design. The guns of the fort would be unable to repel a head-on assault from the sea, and it would be an easy target for an amphibious assault. Thus, the fort was decommissioned from active status in 1909. Over the years, the garrison of the fortress slowly dwindled as the military lost all interest and faith in it. The land was finally sold back to the town of Watch Hill in 1928. The fortress has remained abandoned ever since. Having heard whispers of Fort Mansfield in the past without ever finding much information about it, we decided to go searching for it during the fall of 2014. As a burrow of the town of Westerly, Watch Hill is quite the summer hotspot, but it goes quiet during the offseason. Napatree Point is perfectly legal to walk, except for the handful of beachside bungalows at the very beginning. There is a nice little parking lot that is free to park at right in the middle of downtown Watch Hill. After parking, we began our walk down the point. There is beach on either side of the point, with thick vegetation in the middle. This is also a bird sanctuary during the summer nesting season. It is roughly a little over a mile to the very tip of the point. It is also fiercely windy due to the proximity to the ocean. The early stages of the point are decently trafficked by beachgoers, but the end of the point is deserted. After a long time combing through the point’s thick grass, we finally came upon the abandoned fortress. The fortress is comprised of two sections: one part contains the first two artillery instillations and the second section is a brief walk away containing the third instillation. There were once a few buildings here, but they have long since been demolished. The first section is a pretty good size. 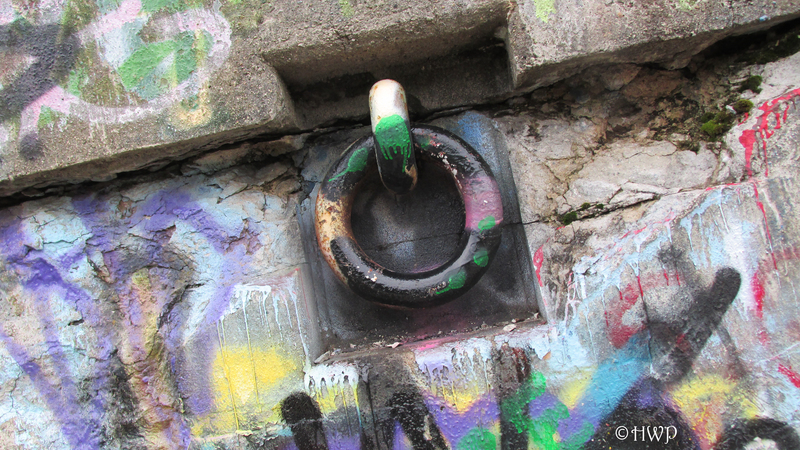 Though it is not as covered in graffiti as Fort Wetherill, Fort Mansfield is still pretty vandalized. Lots of tagging covers the walls, and there is plenty of liter down in the lower tunnels. The local fire department had put up some fencing around the outer walls of the fort to prevent visitors from getting in, but they are quite easily bypassed via a few still functioning ladders and former staircases. Several metal slabs have also been placed over certain points. Except for the blistering gusts of wind, this place is completely silent. There are several entrance points down to the lower levels. Since the front walls have been knocked out, there is a decent amount of light down here. The floor is also completely flooded in certain rooms from years of rain and high tides. The second section of the fort is a brief walk down an overgrown path. 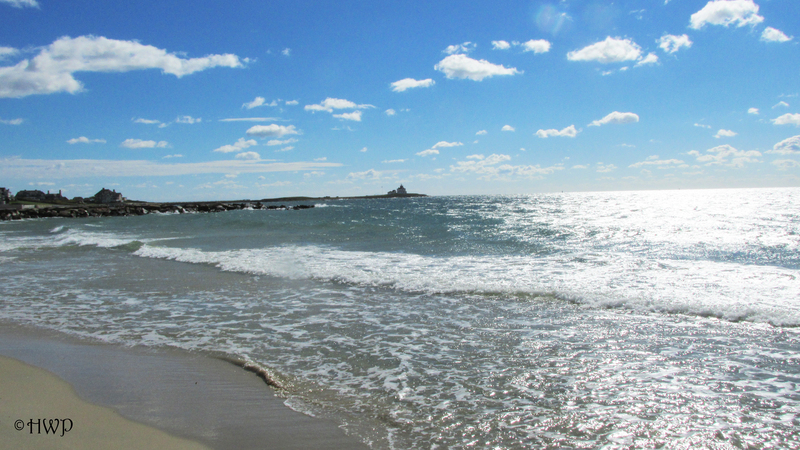 It sits on the very edge of Napatree Point, giving an excellent view of the Rhode Island coastline. It is much smaller than the first section of the fort, and is much more difficult to see. Tall sea grass and vegetation keep it very well hidden. The graffiti here is actually much more light hearted than the first section. At the very top of the fort, there are a couple of small staircases leading up to what must have once been look out posts. They provide excellent cover from the merciless wind. Unlike the first section, there are no barricades or fences to deter visitors here. Down to the lower levels, there are several large empty rooms. They are in complete darkness, yet they are completely empty save for the trash of vandals. Someone, or something, is most definitely living here. 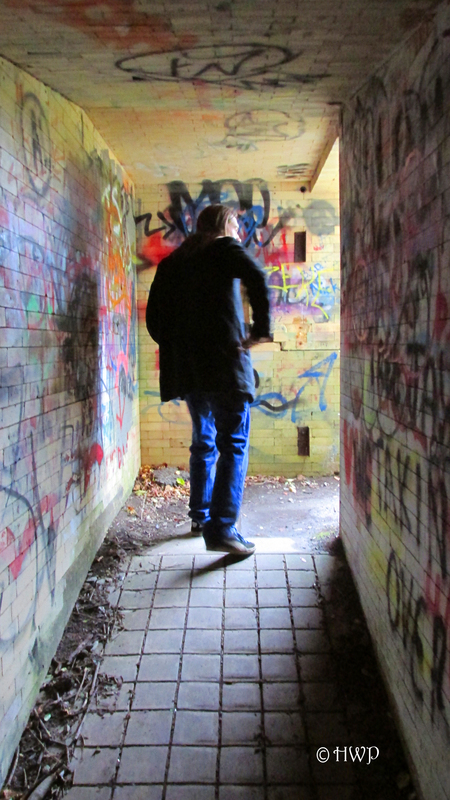 While exploring the dark passages of the lower levels, we heard something moving around in the tunnels. We didn’t stick around to find out what it was. Though it is a bit of a trek and can be difficult to find if you don’t know where to look, Fort Mansfield is definitely worth a visit. 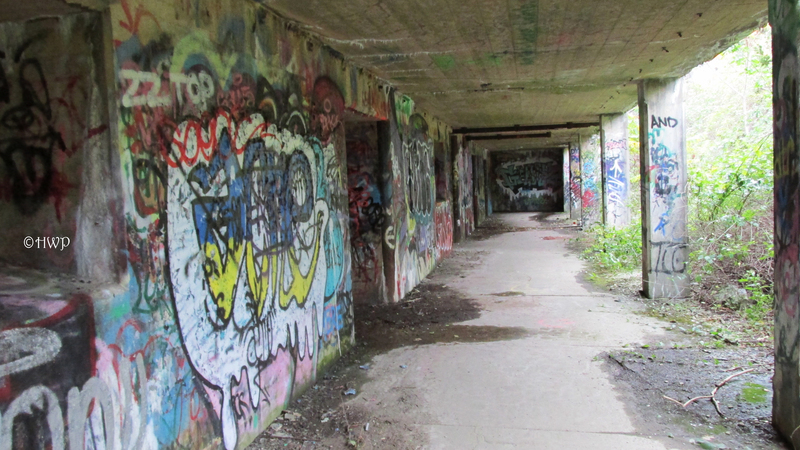 Unlike the legendary Fort Wetherill, this abandoned base is not home for teenage destruction and vandalism. Because of its remote location, the fort is only enjoyed by those who are willing to make the journey. The fierce winds and the hot sand make it a tough trek, but the fort is more than worth it. While the coastal town around it continues to grow and flourish, Fort Mansfield continues to stray out of thought and time. It is the ruins of a fortress that never got to be. Its run as a coastal artillery unit was cut tragically short by a fatal flaw. Now the land weeps, haunted by a purpose that it never got to fulfill. It is truly a fortress of solitude; quiet and alone, but still standing guard over its former territory.